Using named day delivery: Order this product within 10 hrs and 16 mins for guaranteed Tuesday delivery. 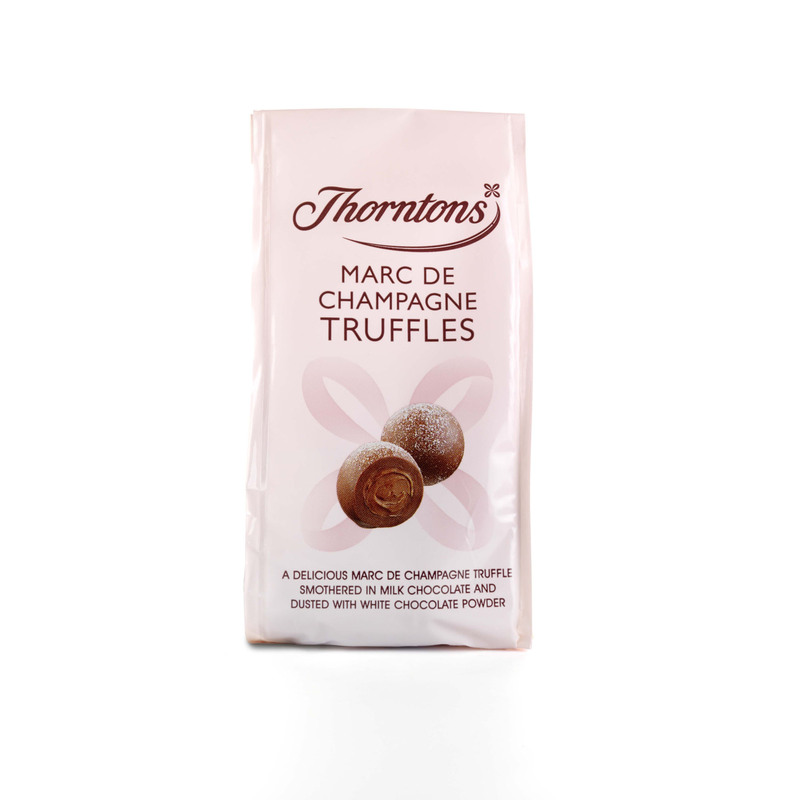 Take indulgence to the next level with a bag of our delicious Marc De Champagne Truffles, a truly tempting combination of Thorntons chocolate and luxurious liquor. 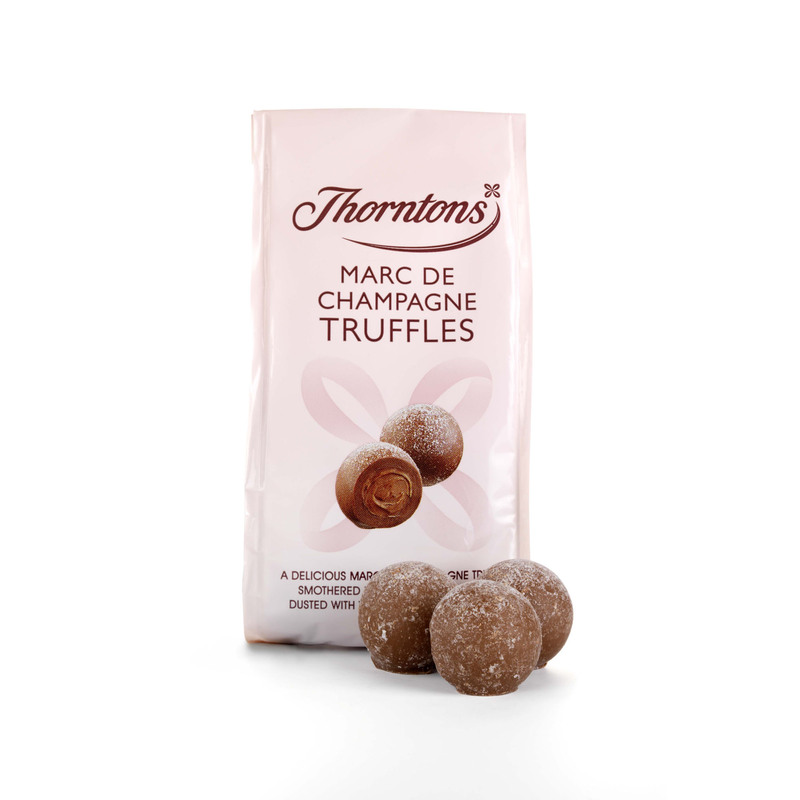 Champagne is one of life’s most decadent treats, and the Marc De Champagne brandy made from this famous fizzy drink is the ultimate flavouring for a fine chocolate truffle. 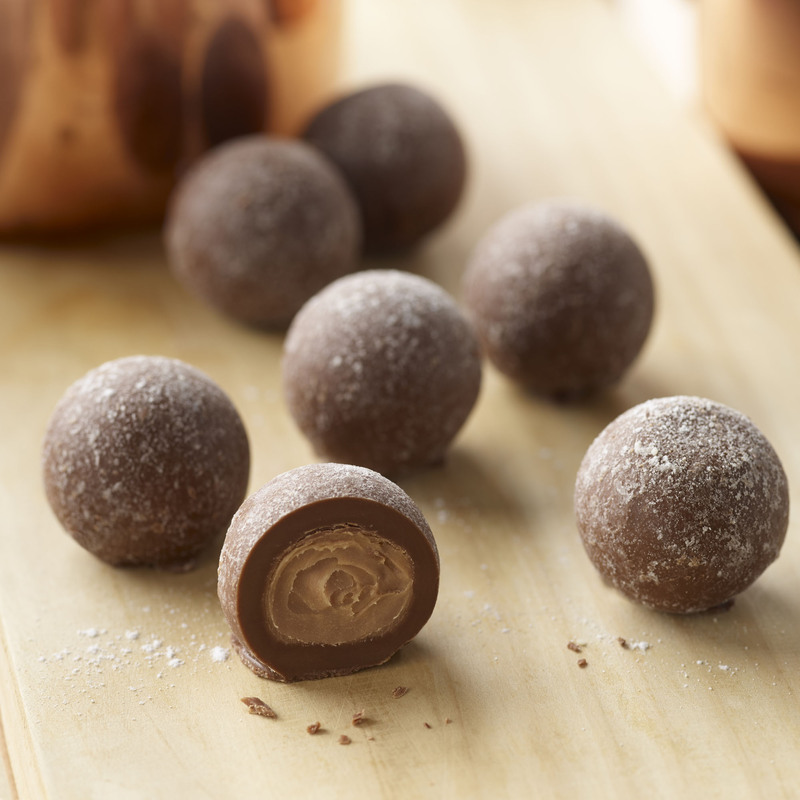 At Thorntons we coat these soft, sumptuous truffles with milk chocolate, before dusting with white chocolate powder, to create something extra special. Now in a new look bag as part of our Favourite Flavours collection. Sugar, Dried Whole Milk, Cocoa Butter, Cocoa Mass, Water, Marc de Champagne (3%), Dried Skimmed Milk, Invert Sugar Syrup, Humectant (Sorbitol), Milk Fat, Emulsifier (Soya Lecithin), Lactose (Milk), Palm Kernel Oil, Flavourings, Gelling Agent (Pectin).